Something I really like to wear a lot is a comfy tank top or t-shirt. Not only do you feel super comfortable but you can still look cute by dressing it up if you want. So that is why I'm loving this tank so much! 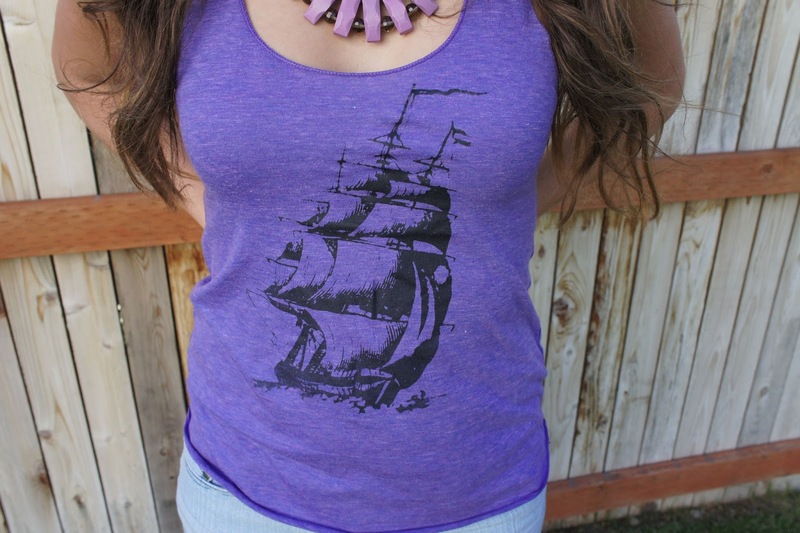 How cute is the color of this tank and then I love the pirate ship on it! I got this tank at Skip N' Whistle, they have tons of different fun graphic tees and tops. And you can choose from several different colors, and I think this orchid color is super cute! But my favorite part about this tank top has to be how soft the fabric is and how comfortable it is! No joke, its one of my comfiest shirts. I kept this look simple with a fun statement necklace and some denim shorts. But I really liked this contrast of the two different purples. 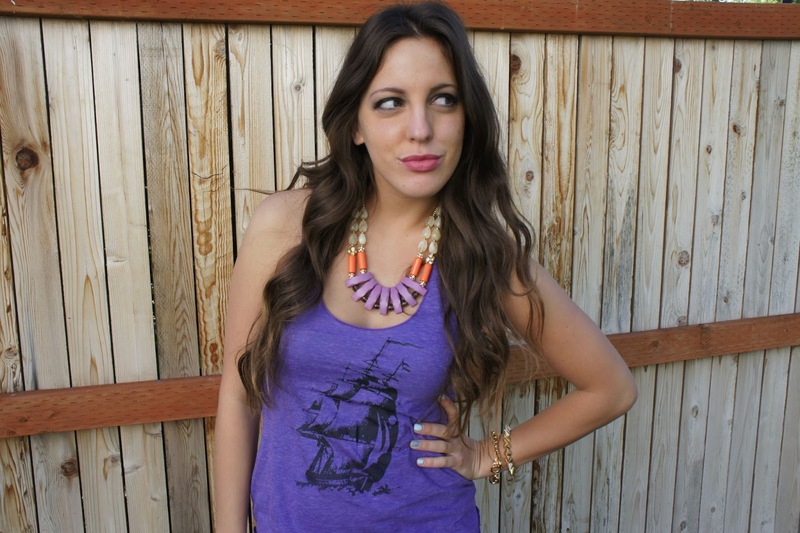 Make sure to check out Skip N' Whistle and their fun different tops and graphic tees! Pirate Ship Tank Top: Skip N' Whistle , Shorts: Cotton On, Necklace: Francesca's, Shoes: Steve Madden, Purse: Betsey Johnson, Link Bracelet: Henri Bendel, Spike Bracelet: Nordstrom. Your necklace is so pretty!! and i love your graphic tee! I am dying over your necklace!! Great mix with the tee too. Adore your blog! tips about job online as well. If you want to know more about a career sites, please visit our website.